Australian author Donna Dyson wrote her first story at seven and grew up to become a passionate reader, author, songwriter, teacher, university lecturer, educational leader and advisor. Donna's books combine her vast literacy specialist knowledge, engaging rhymes and educational content. Many of her books also have accompanying music backing tracks for emerging readers to read and sing along! Donna can come to your school! Donna Dyson can be booked for school author visits and Skype sessions along with all conference and workshop facilitation for professional development. Also available for Author visits to your education venue, Donna can be booked by contacting Sandie at Speakers Ink. Donna has been the Children’s Education Author for the Queensland Museum. Apart from this, she writes many works for school reading schemes and academic phonemic textbooks. Donna Dyson is also an accomplished songwriter and composer, writing backing tracks of music to accompany many early childhood stories to assist early readers to transfer from familiar song to reading written texts. 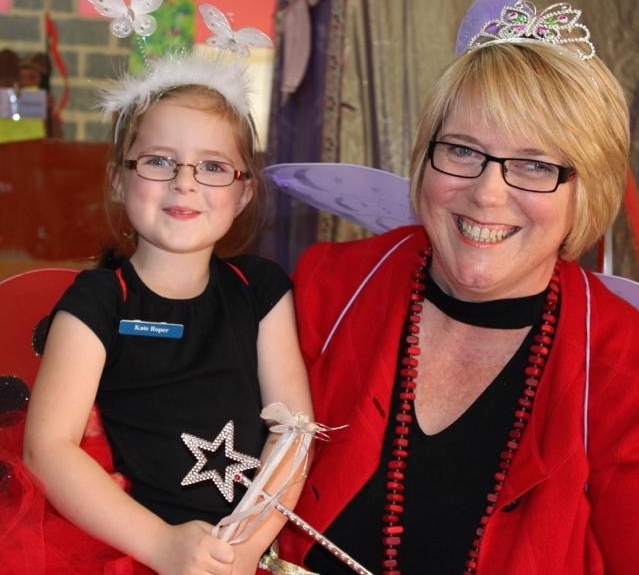 "Donna has conducted author visits a number of times at our school for a wide variety of classes from Kindy to Grade 6. Donna’s vibrancy and enthusiasm holds the children’s attention as she shares her love of literature and reading with the students. Donna’s passion shines through as she explains the process of creating the books and tells stories of the museum artefacts that have inspired them. Donna encourages the children to participate in the story readings and they particularly enjoy singing the songs that accompany the books for the younger children. Donna has done a phenomenal job of creating support material for her books to help make teachers jobs easier. She is dedicated to spreading the message about the value of reading to teachers, librarians, parents and students and excels at presenting this material in workshop situations. I would highly recommend Donna for school visits and professional development workshops." "As a writer, Donna is able to model the writing process and facilitate writing workshops for children of all ages, scaffolding their writing with simple and effective steps towards creativity. Her books will delight young children, and also have applications for further learning for older students. As an academic, Donna has the ability to challenge educational professionals with her insights into curriculum development and literacy education. Donna brings an energy and passion to her presentation which is memorable and inspirational. We highly recommend her as a speaker." "Donna Dyson is the ultimate in value-for-money, as a speaker in your school. She has the ability to connect with her audience, and engage listeners of ALL ages. Donna loves children, and is an experienced classroom teacher. However, it is her ability to individually inspire and encourage young people that make her presentations outstanding. As a classroom teacher Donna was able to build bridges into the lives of her students, by discovering their interests, developing their individual passions, and encouraging their hidden potential. As a demonstration teacher, Donna can now pass on the tips and tricks of these skills to other educators. Donna has a particular rapport with young and inexperienced student teachers, and she is able to guide them in developing their own literacy teaching skills."